BSN has introduced a new testosterone-boosting supplement: Evotest. Evotest is purported to use cutting-edge ingredients to increase exercise and muscle performance, mainly through cutting-edge ingredients like d-aspartic acid and magnesium oxide. Let’s look at the details to see if Evotest lives up to BSN’s claims. Vitamin D 400 IU. Vitamin D is usually known for its antioxidant properties, but one study found it also influences testosterone levels in men. The study used nearly 8 times the amount contained in Evotest; but, the product may still provide testosterone increases. It is likely Evotest contains high enough levels of n-acetyl l-cysteine to produce testosterone increases. D-Aspartic Acid. Researchers who supplemented sub-fertile male subjects with d-aspartate found the amino acid greatly impacts testosterone regulation and treatment of infertility. 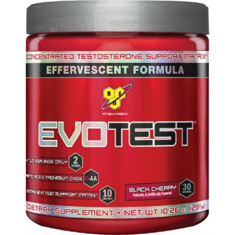 Evotest may contain enough d-aspartic acid to help regulate and synthesize testosterone. 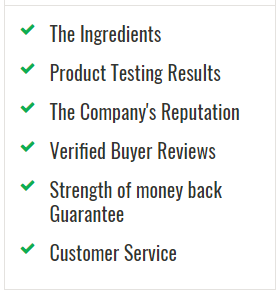 Evotest is sold for $49.99 on BSN.com and can be returned for 30 days if unused or if about 75% of the product is left. BodyBuilding.com lists Evotest for $29.77 currently, and GNC.com lists it for $37.99 or $34.95 with membership card. Evotest should be taken for 2-3 weeks on, 2 weeks off. Mix 1 scoop with 6 oz. water 2 times daily. Evotest is not for use by those with conflicting medical conditions or medication, for males under 18 or over 50, or for women. This product was designed to be stacked with Nitrix, Cellmass, and N.O.-Xplode. The ingredients in Evotest are backed by science and seem likely to effectively boost testosterone. The price is reasonable, and the reviews are mostly positive. It isn’t much of a risk to try Evotest, other than possibly disliking the taste. Try Evotest to see if you like it and if it works for you. Don’t forget to leave a review in the comments.